GLENDALE, Ariz. — The Arizona Coyotes have acquired centre Derek Stepan and goalie Antti Raanta from the New York Rangers for defenceman Anthony DeAngelo and the seventh overall pick in this year's draft. The Coyotes have made massive changes since Andrew Barroway became sole owner earlier this month, trading away No. 1 goalie Mike Smith, parting ways with coach Dave Tippett and opting not to offer captain Shane Doan a contract. Arizona also acquired defenceman Niklas Hjalmarsson from Chicago earlier Friday. Stepan and Raanta should address two big needs. 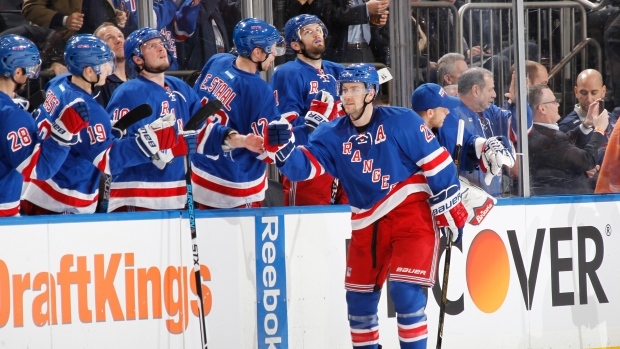 The 27-year-old Stepan had 17 goals and 38 assists in 81 games with the Rangers last season. Arizona has lacked a true top-line centre for years and is hoping Stepan can fill that void. "We are thrilled to acquire Derek," Coyotes GM John Chayka said in a statement. "Our organization has been searching for a true number one centre for over a decade and we are confident that he can be that for us." Raanta went 16-8-2 in 30 games, with four shutouts and a 2.26 goals-against average in 30 games as Henrik Lundqvist's backup. He will get a chance to be Arizona's No. 1 goalie after Smith was traded to Calgary last weekend. "Antti is a highly skilled, athletic goaltender," Chayka said. "We're confident that he can emerge as an excellent starting goalie for us." DeAngelo had five goals and nine assists in 39 games last season, his first in the NHL. The Rangers now have the No. 7 and No. 21 picks as GM Jeff Gorton tries to find the right formula.